I know I’m not the only one who has held onto a collection of unmatched earrings, all who have sadly lost their mate at one point or another, for far too long. I haven’t been able to part with some of my favorite danglers in hopes that their other halves would eventually turn up. They never do. 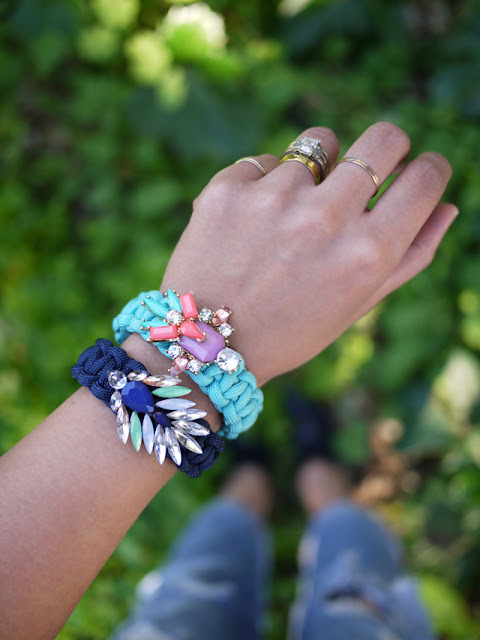 Thus came the idea to repurpose these gems, pairing them with the ultimate in utilitarian accessories: the paracord bracelet. 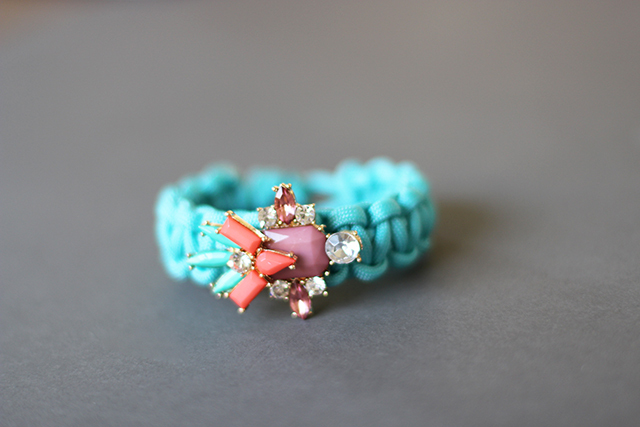 If you remember how to make a macrame bracelet, then consider this tutorial a simple refresher. Start with a yard of paracord. 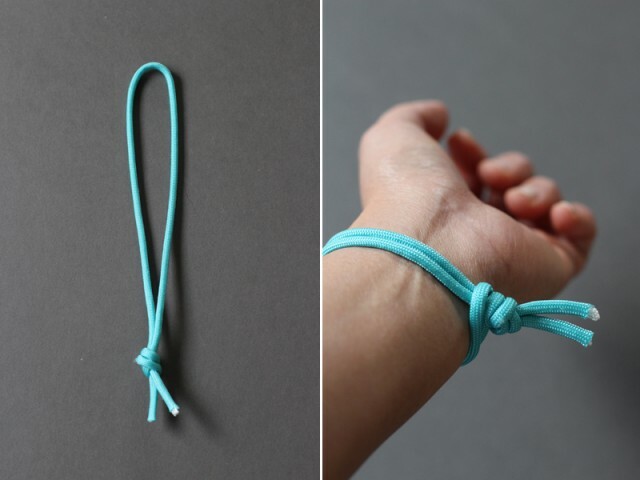 Fold it in half and wrap around the wrist to measure. This will be the base of the bracelet. 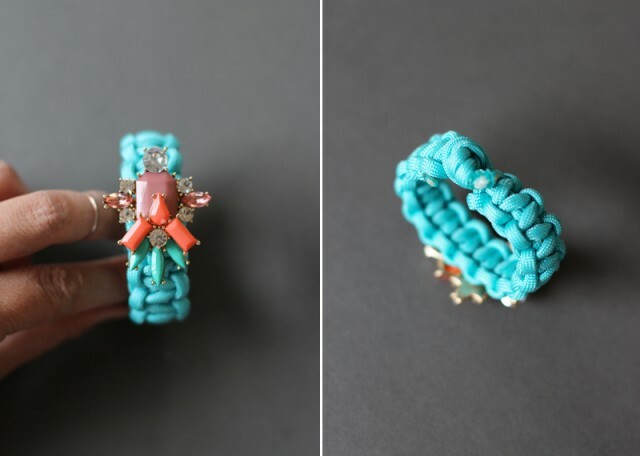 Tie a single knot at the end and double check the length around the wrist – it should fit loosely as the bracelet will tighten once the design is added. Center the rest of the paracord under the base. 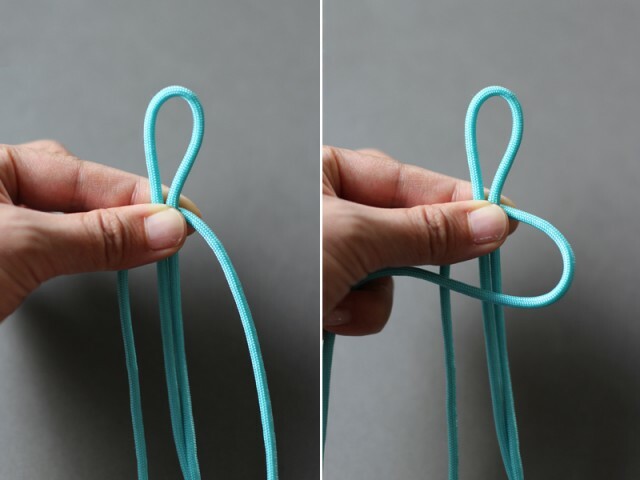 Fold the right cord over the middle strands and under the left cord. Pull the left cord under the right and middle strands and through the loop on the right side. 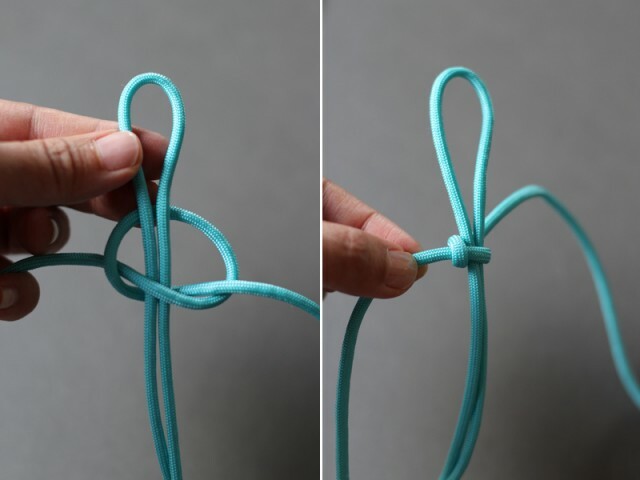 This is a half square knot. 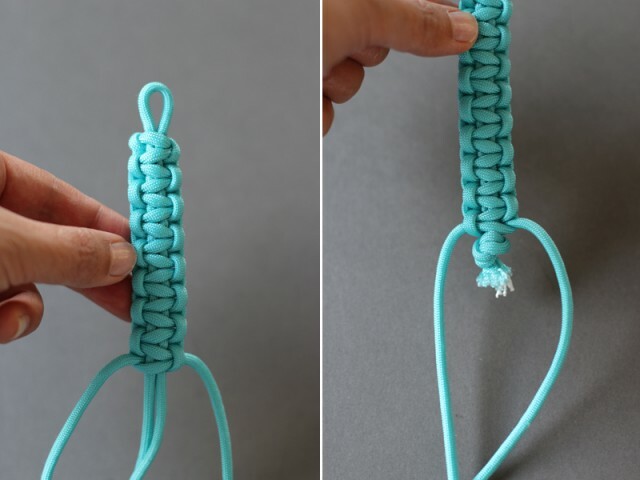 Tighten and slide the knot up, leaving a loop big enough so that the closure knot can fit through it later. Repeat on the left side. 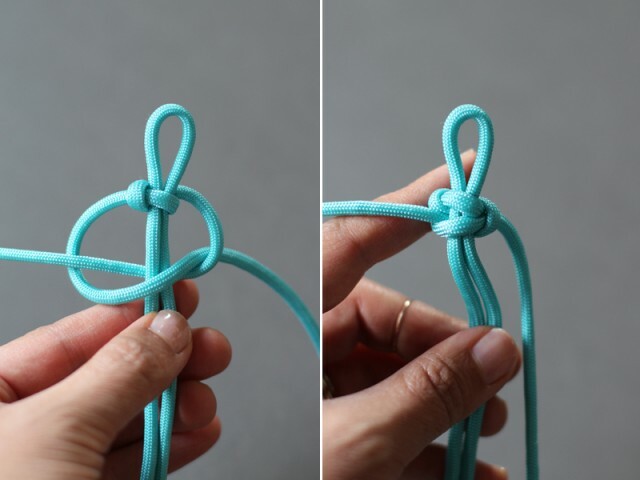 Finish the 2nd half of the square knot by folding the left cord over the middle strands and under the right cord. 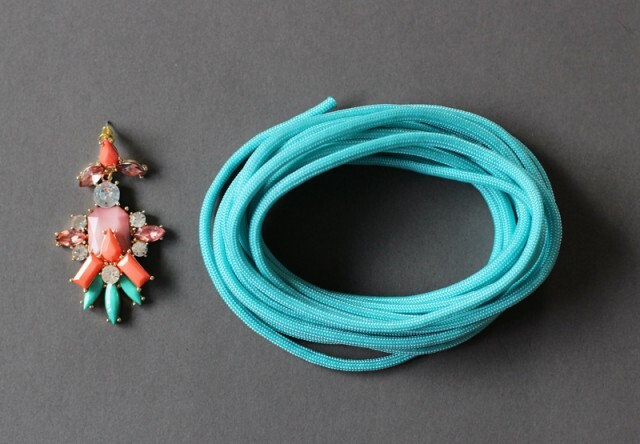 Pull the right cord under the left and middle strands and through the loop on the left side. Tighten. Continue making knots, working right and then left and so on. 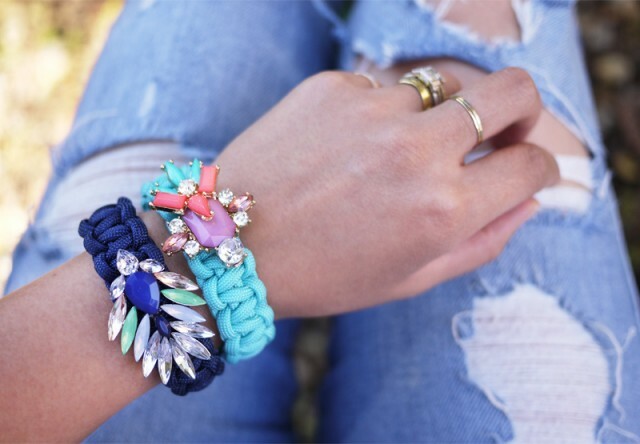 Once you’ve reached the end, wrap the bracelet around the wrist to check the fit. 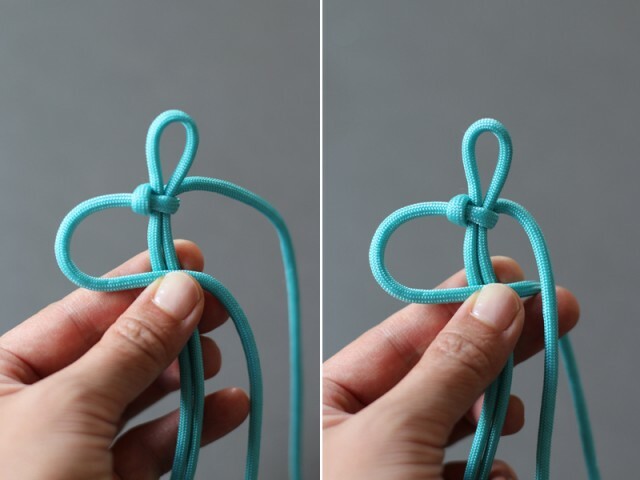 If it needs to be larger, you can always retie the knot. 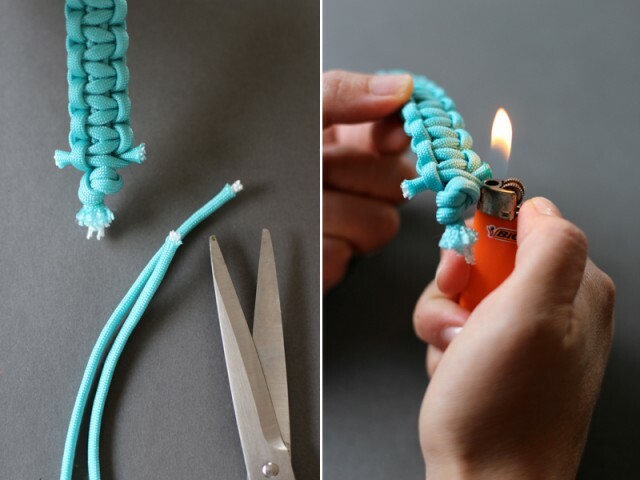 Snip the ends and burn the tips with a lighter to flatten and seal the cord. Always burn at the blue part of the flame for a clean melt and to prevent smoking. 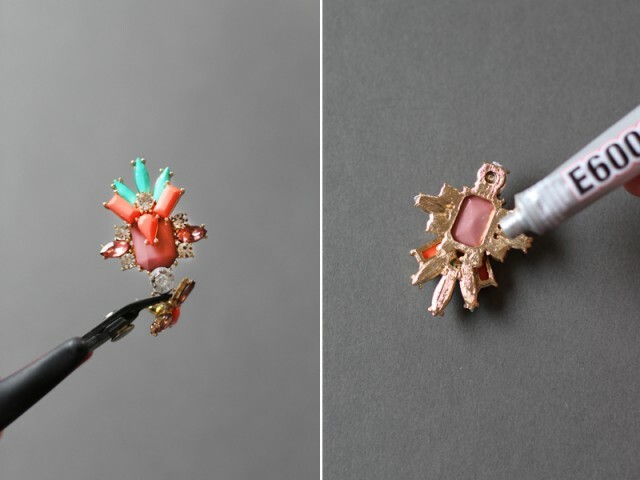 Now take your jewel – in this case, an earring – and trim away any moving parts. Apply a good amount of E6000 to the backside. Press it against the center of the paracord bracelet and let it dry face down for at least 12 hours. The jewel can always be reinforced with more glue should it need it. Make more and be merry! images by HonestlyWTF by Erica in D.I.Y. Earlier this month Lauren and I escaped city life with our dear friend Grace, of The Stripe, for a weekend chock-full of sun and DIY. 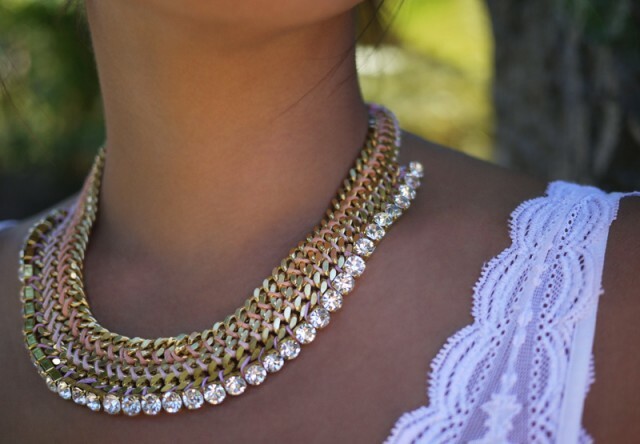 With an abundant supply of rhinestone and brass curb chain, we decided to try weaving the components together to make our own collar necklaces. It was fun to see how wonderfully different the pieces turned out – each so fabulous in their own unique way! Honestly, isn’t that the best part about DIYing with friends? Start by laying two pieces of curb chain side by side. Tie on 4 feet of embroidery floss into a double knot to the end of the left chain, leaving at least a foot of extra slack. Thread the floss through the top of the first link of the right chain. Thread the floss under the first link on the left side and through the top of the 2nd link on the right side.